Preheat oven to 400. 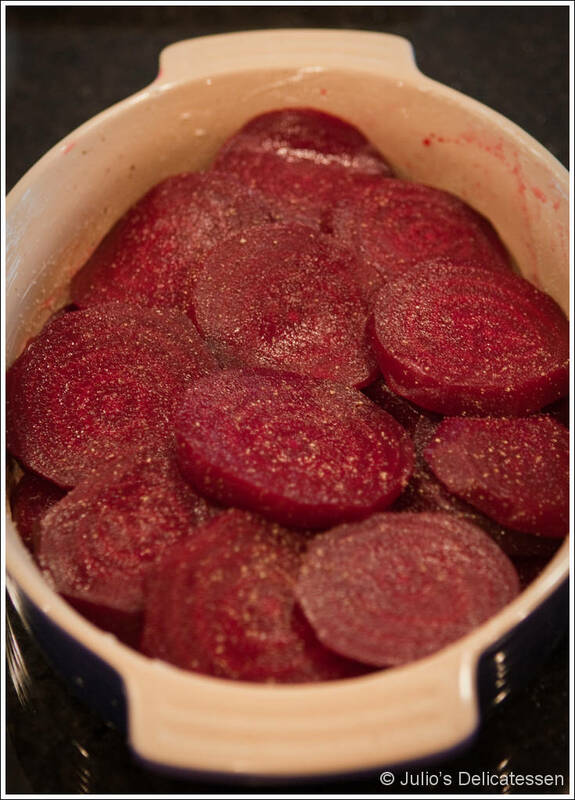 Place beets in a small baking dish. Add water to cover bottom ¼ inch of the beets. Season with salt and cover tightly with foil. 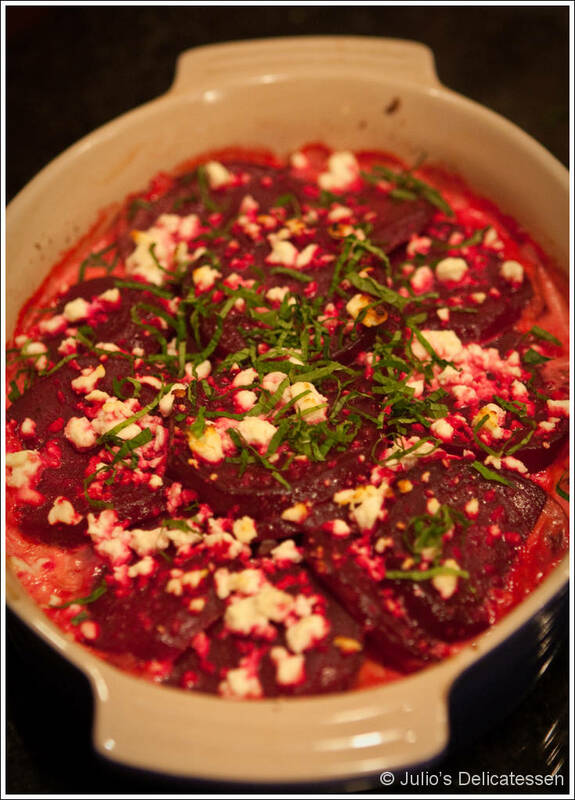 Bake until beets are tender throughout – 50 to 60 minutes. Allow to cool, then peel and cut into ¼” thick slices. Preheat oven to 425 degrees. Meanwhile, bring cream to a simmer in a small saucepan with the mint and garlic (smashed or minced). As soon as it begins to simmer, remove from heat, stir once, and allow to sit for 15 minutes. While cream is steeping, butter a 1.5 quart gratin dish or baking dish. Arrange sliced beets in even layers, seasoning each layer with salt and pepper. 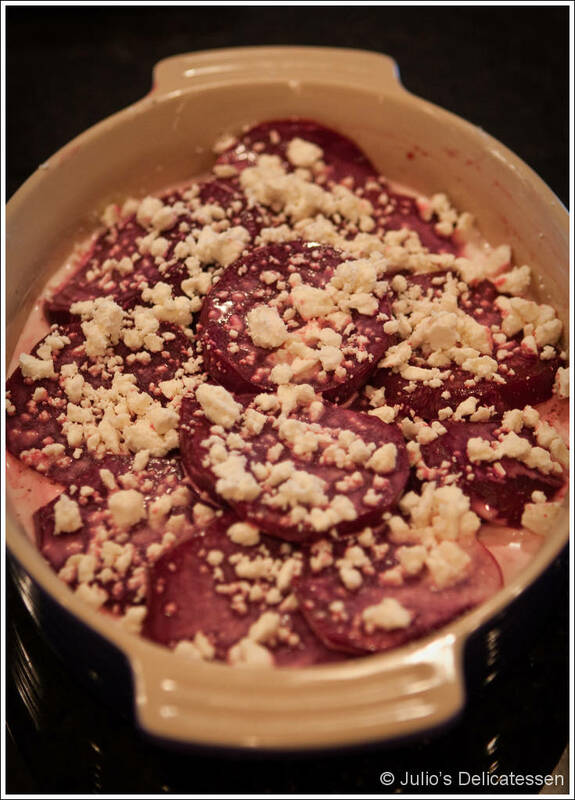 Strain the cream over the beets, then sprinkle with the feta. Bake for about 20 minutes. When cream is bubbling and feta is browned in some spots, remove and allow to rest for five minutes. Garnish with chopped mint and serve.